This is a typical story of a 'trader' who trades without a trading plan or discipline! And this 'short story' summarises what i believe most new traders lack - education. My advice to any newbies would be to take the time to learn about trading before opening an account. Take advantage of the huge amount of educational material on trading that is available from 'regulated' sources. Understand risk management, money management and risk/reward. Learn from your mistakes. Take seriously the move from a 'demo' to 'live' as the psychology is different, although many would argue it shouldn't be! IT IS!! Forget the get rich quick stories and be realistic about your goals and expectations. 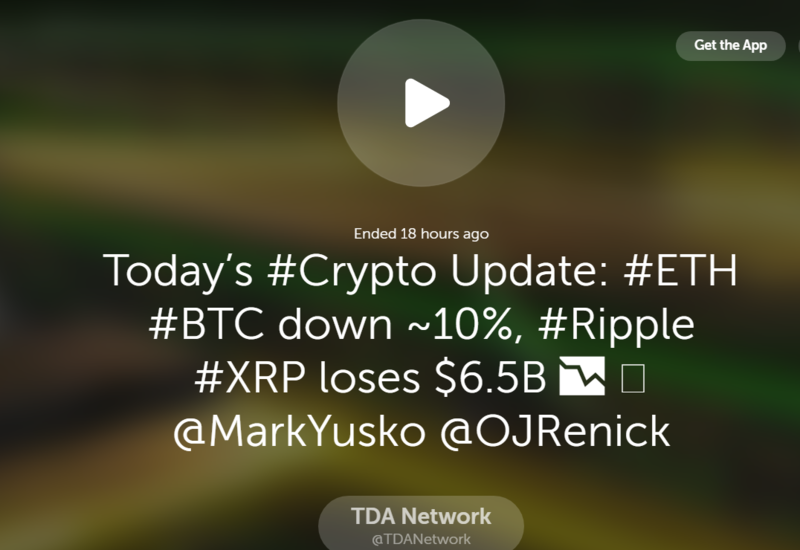 Good 15min periscope report on current crypto market. I agree with most of PIA_First_SO. One must have a trading plan and a clear strategy. Discipline is a must as well as patience. Sometimes the best decision is to do nothing and wait for the right opportunity. Speaking of poker, I am a fan of Texas Hold Em Up. Successful poker players demonstrate a good understanding of strategy, probability, and psychology. One of the things that poker and trading have in common is that both require making optimal decisions based on incomplete information. There is a similarity with money management which is crucial to managing risks. You have to take into account luck / variance factor. Psychological patterns such as emotional decisions compared to rational decisions. There is a lot of material on the similarities between poker and trading. Both if done without proper education can be classed as gambling! Corrective sell-off complete...Where now for Bitcoin?? In regards to the PIA analysis, no representation or warranty is given as to the accuracy or completeness of this information. Consequently any person acting on it does so entirely at their own risk. IG accepts no responsibility for any use that may be made of these comments and for any consequences that result. At this rate Bitcoin could easily go down to $5000 levels. That level may entice new buyers who were on the sidelines that may think they are getting better value. Of course the sellers then may also become buyers again. Anything is possible and who knows. Right now the smart money is shorting Bitcoin with leverage and maximising profits on the way down as that is what the price action and behaviour is indicating right now. Also a lot of 'stops' are most probably being triggered amplifying the downwards move. This correction was coming and we all knew it would be a big one but this just shows how big and quick the move down is. There is no messing around when it comes to Cryptocurrencies. Those who do not have stop losses will make bigger losses and those who do not sell or do not short cannot be maximising the profit opportunities in Cryptocurrencies. To trade Cryptocurrencies, shorting must be part of the trading plan, even if you do have a longer time vision of them being a higher price. I still think there is every chance that there will be another monster rally in Cryptocurrencies and there may be new coins making big returns like Stellar and others. Who knows. Time will tell. Bitcoin gets a boost from Tuesday's US regulatory hearing. If Bitcoin attracts new buyers on the sidelines 'fearing they missed out' on any potential next leg up then I see this exceeding $20,000 for sure. Momentum will be key here. I accept that it has to blast past $10,000 first so it needs to climb the steps bit by bit. Bitcoin and ether seems to move so much in unison now. The hourly charts for both of them look so similar except the price of bitcoin is 10 times that of ether. Add Bitcoin Cash to your list as there are similarities there too. I think this year will determine whether Cryptocurrencies has a future or not. If Bitcoin and Ether make new all time highs this year then game on. If they do not then capital preservation will be key. Where can i find charts for the different crypto? For example, IG only has a very short history for ripple charts. I need something with a longer history. Where else can i find charts to draw my own lines and indicators? I saw some other users posting their drawn charts here, where do they get the charts from? Have you tried Trading View? Yes indeed, Trading View has the best overall package, may have to sign up for the interactive charts? but it's free. Look for crypto under 'Markets'. Click on the name for the chart. I'm accessing trading view website from my android phone via chrome. I want to draw some lines or Fibonacci level but i can't find the drawing panel on my phone. I can do it on my iPad or PC, so I'm wondering if there's a way to do it on my phone. Thanks. Hi - please see the directions below. This is for iOS, however the process and charts are exactly the same. I have an iPhone and I find the charting absolutely awful on the app. 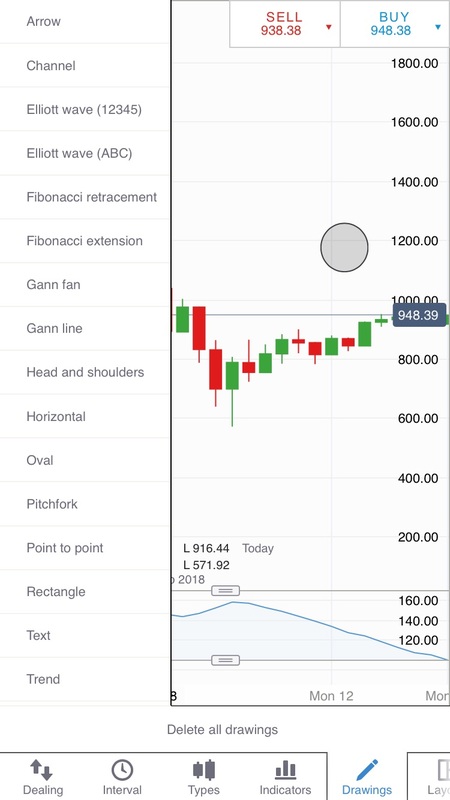 I think due to the smaller screen than say an iPad or iMac, I find using iPhone not a sensible or efficient option for charting and even just general viewing of charts. thanks James for explaining but I was asking for the method when using tradingview on my phone. Hi , if you are logged in and save a drawn chart using tablet or computer then you should be able to load that on the phone but am not sure about actually drawing with the phone. Crypto exchanges security just gets funnier, glitch allows $20 Trillion bitcoin to be bought for free, there are only $187 Billion in circulation. Thanks for sharing the Fibonacci Calculator tool. A very interesting article passed my way and maybe interesting for other Community members. Really helps explain the actual hashing process and puts a few things into context. "A Reddit reader asked about my energy consumption. There's not much physical exertion, so assuming a resting metabolic rate of 1500kcal/day, manual hashing works out to almost 10 megajoules/hash. A typical energy consumption for mining hardware is 1000 megahashes/joule. So I'm less energy efficient by a factor of 10^16, or 10 quadrillion. The next question is the energy cost. A cheap source of food energy is donuts at $0.23 for 200 kcalories. Electricity here is $0.15/kilowatt-hour, which is cheaper by a factor of 6.7 - closer than I expected. Thus my energy cost per hash is about 67 quadrillion times that of mining hardware. It's clear I'm not going to make my fortune off manual mining, and I haven't even included the cost of all the paper and pencils I'll need." 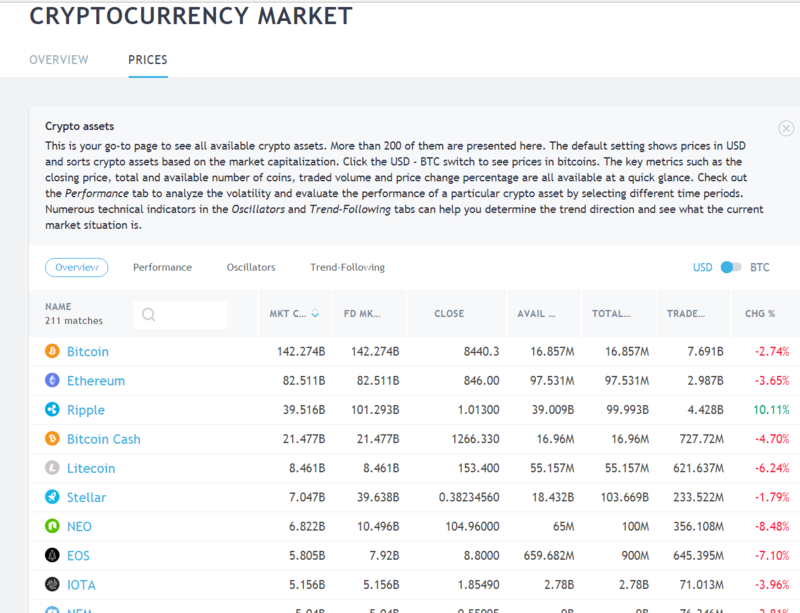 "The top 12 cryptocurrencies and what they are—and aren’t—good for"
as an FYI with immediate effect the starting margin rate on Bitcoin and Ether for professional clients has been dropped to 20%. Margins for retail clients remain at 35%, and all other cryptocurrencies remain unaffected. Thanks for sharing this information so quickly. 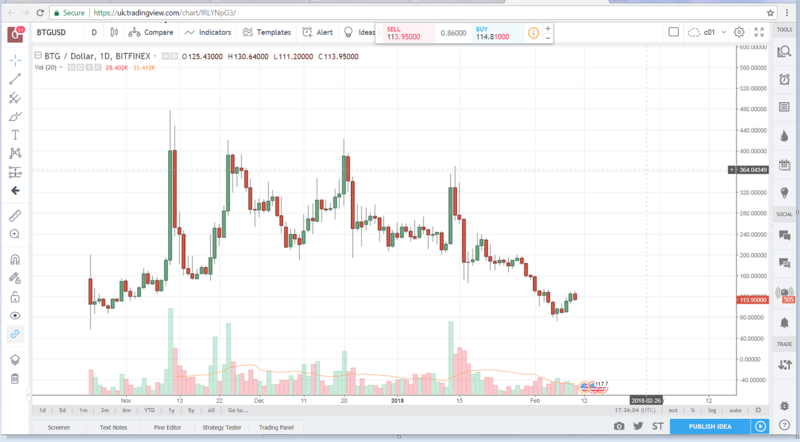 Crypto pump and dump schemes, how they work, 'anyone is welcome'.